Having your roof inspected and surveyed regularly by a professional is one of the most important maintenance tasks for commercial and residential building owners. 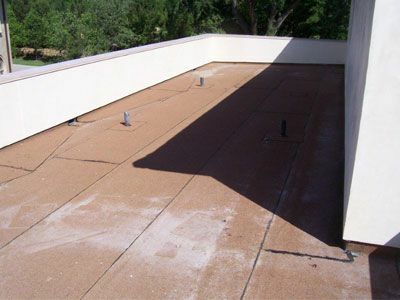 It’s not simply looking at the roof and determining its condition, there is a lot more to it than that. There are two main purposes behind having your roof inspected: finding any current problems and gauging the remaining life of the roof. Roof inspections will often begin with and include a walkthrough of your home. Inspectors will examine the ceilings, alls, and attic for evidence of damage. The inspector will walk the perimeter of your home to see if they find any pieces of shingles or other roof hardware that may have come off. From the ground, the inspector will carefully examine the siding and eaves, checking for external water stains, hail divots, and any indications of dry rot. Now the inspector will get up on the roof to determine its construction, chimney, flashing, and vents. Common problems include: broken or missing roofing materials, curled or split shingles, broken shaked or tiles, sagging between rafters, loose or missing flashing, depressions near vent pipes, open seams, damages chimney bricks, or wear from extreme sun exposure. The inspector will also look at the gutters while up on the roof. Improper installation, buildup of debris, or warped metal will likely cause drainage problems that could lead to actual structural damage or interior leaks. At Wharry Engineering, we can make sure your roof is properly maintained and help increase its longevity. Also, because of our vast understanding of roofs, we can recommend future dates for reroofing, so you can have time to plan and budget accordingly. Please contact us today with any questions or to schedule an appointment!